Takeaway: Fits the genre but cannot quite break the mold. The Western as a genre has long celebrated hard-scrabble men who can squint into the distance and distill the workings of the world into a single, pithy phrase. “When the legend becomes fact, print the legend,” says a frustrated newspaperman towards the end of The Man Who Shot Liberty Valance (1962), relenting before the heroic, whitewashed image of a popular politician. In Westerns, these carefully placed aphorisms tend to shed as much light on the characters who speak them as on the world they seek to describe. For these cigarillo-chomping vigilantes, the world is understandable, but fatalistic and unforgiving. The best and only way to survive is to follow the rules obediently, however painful and merciless they may be. Wind River, a new Western, murder mystery, and police procedural from writer-director Taylor Sheridan, abounds in this kind of hard-earned, steely-eyed wisdom that sees the tragedy of living as something to accept and embrace, rather than struggle against and try to change. Cory Lambert (Jeremy Renner) works as a professional hunter on the Wind River Northern Arapaho reservation in a particularly desolate stretch of western Wyoming. A white man who has married into a Native American family, Lambert forever straddles the line of outsider and insider, even as he has become adept at following tracks and dissolving into the silence and the snow while he hunts down wolves and mountain lions that prey upon local livestock. When he stumbles upon the frozen body of a Native American teenage girl who has been raped and left to die barefoot in the snowy wilderness, Lambert finds himself working to unravel the mystery of her death alongside an impatient young FBI agent flown in from Las Vegas (Elizabeth Olsen) and a world-weary Tribal Police officer jaded by the violence and apathy of life on the reservation (Graham Greene). True to the genre’s form, Sheridan, who’s screenwriting credits include Sicario (2015) and Hell or High Water (2016), fills the dialogue with fatalistic insight. Paired with Sheridan and cinematographer Ben Richardson’s immersive images of a bleak, empty, and merciless wilderness, lines like these submerge the characters and the audience into an isolation and harrowing insignificance that the land itself seems to force upon its inhabitants. Take for example one of the best shots of the movie: with an explosive whoomph of the soundtrack, the camera comes flying over the peaks of the mountains to reveal the valley where the reservation resides. 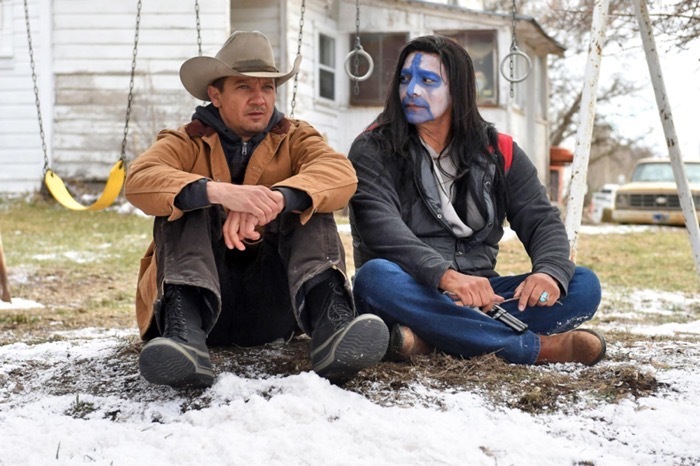 Having spent most of the movie trapped in the claustrophobic, inescapable network of trailers and homes that make up Wind River, the audience sees that the entire reservation is but a small cluster of buildings located in the middle of an endless expanse of snow, mountains, and sky. The momentum of the narrative, and of the police cars skirting the reservation, pulls the audience towards a hoped-for resolution, but the sheer scale of the emptiness presents a daunting reminder of any one person’s or problem’s relative insignificance. Images like these imply that equanimity is not to be found in the solving of any particular crime, but rather in some kind of acceptance of one’s powerlessness in the face of an indifferent world. Jeremy Renner and Gil Birmingham in WIND RIVER (2017). And yet, Sheridan, an actor-turned-writer taking the helm as director for only the second time in his career, has not quite developed the filmmaking prowess of some of his previous collaborators, lacking the discipline and coherence of David Mackenzie and the virtuosic visual ingenuity of Denis Villeneuve. The momentum of Wind River all too often stalls out in expository sequences that present the audience with little visual information of note as the characters explain why they are acting the way that they are. The professional relationship between Lambert and Olsen’s FBI agent pull the narrative far too closely to the struggles of the white outsiders as opposed to the Native American community they are seeking to understand, even as Lambert’s interactions with the Tribal Police officer and the murdered woman’s wayward brother and grieving father provide for a much more stable and affecting emotional core. And, most glaringly, the Native American women that the movie explicitly sets out to provide a voice for are rendered as nothing more than beautiful dead girls, nominally centered but ultimately silenced and removed from nearly every aspect of the movie except for Lambert’s grief and the FBI agent’s moral education. While Wind River fits well within its Western genre, replete with pithy one liners and an expansive landscape that imprints itself upon its characters, Sheridan’s impressive storytelling and burgeoning cinematic craft cannot quite quell the disappointment that the people the movie promises to foreground in its story are still left hanging in the margins. Wind River is now playing at the Bow Tie Criterion Cinemas in New Haven, Ciné 4 in New Haven, Madison Art Cinemas in Madison, and other select theaters in the greater New Haven area. 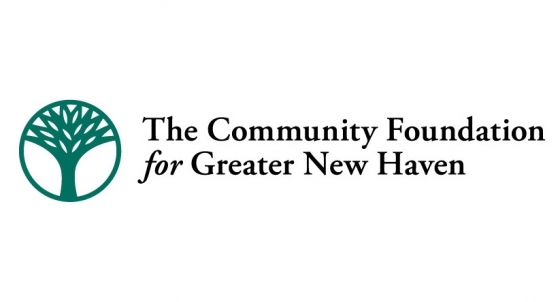 Click on the audio player below to listen to Tom Breen and New Haven Independent reporter Allan Appel review Wind River on WNHH Community Radio's Deep Focus.